On August 7th my first mystery novel will be released through Crooked Lane Publishing. It’s called The Coroner and it is largely inspired by my own experiences growing up with a father who was a medical examiner and his office was in our house. I write from place. I often get the first sprouts of an idea based on a location or place that I’ve been. The Coroner is a good example of this. I use the real life setting of Newaygo County Michigan as a backdrop to do most of my world-building for The Coroner. This is a place I lived the first eighteen years of my life and often return to visit family and friends. It has two nicknames: The Great White North or River Country. It’s located about an hour north of Grand Rapids, MI, and is home to a population of just under 50,000. The county is dotted by several small, thriving cities and quilted in rolling hills, trees, lakes, rivers, and Amish farms. The air is fresh and clean. People take interest in each other and the community. Neighbors still watch out for neighbors. I love it here and always find my soul at rest when I return. But that doesn’t mean all is well. Being witness to death investigation for two decades showed me that darkness simmers underneath even the most idyllic of places… as you will find out inThe Coroner. Here are some pix of the real life places from Newaygo County that inspired Dr. Emily Hartford’s fictional place of Freeport County. 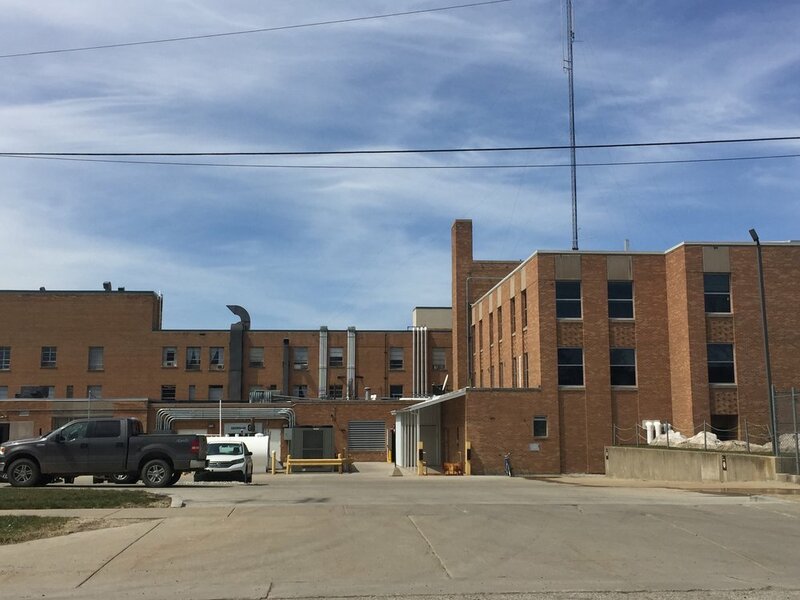 The back of the hospital where the morgue is located and where Jo works, and where we first meet Dr. Robert Hartford, who just suffered a heart attack. This is where Emily enters to go into the morgue when she’s trying to get away from the reporters. Freeport High School where Emily and Nick went and where Julie and Sarah Dobson now attend. The horse country surrounding Freeport. There are many horse farms and stables all through the county. A taste of downtown Freeport where Delia’s runs Brown’s Bakery and Emily gazes at the display of the deer family being hunted in the front of a sporting goods store. The Coroner’s home – this is homestead where I grew up and where my Dad and Mom ran the medical examiner’s office. I imagine Emily grew up in a similar home out in the country. The lake where Nick lives and where he hosts his string of parties, dinners, BBQs, and quirky event like The Pre-Thanksgiving Dinner Feast and The Start of Ice Fishing Season Winter Cookout.